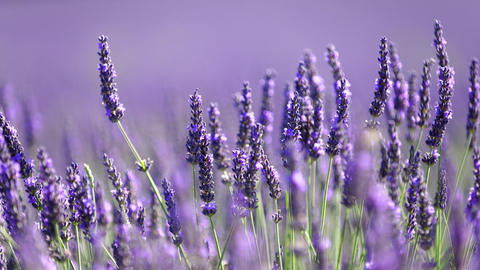 Research shows that lavender oil is just as effective as Xanax, Valium, or Prozac for signs of anxiety in women. Serotonin Deficiency, alternative medicine, anti anxiety, antidepressants, anxiety, anxiety and panic, anxiety and panic attacks, anxiety depression, anxiety disorder, anxiety disorders, anxiety in women, anxiety remedies, anxiety symptoms, anxiety symptoms in women, ativan, children, chronic anxiety, complementary and alternative medicine, dementia, depression, depression and anxiety, depression symptoms, dopamine, dopamine deficiency, feeling tired, feeling tired all the time, food, for depression, frequent headaches, generalized anxiety, generalized anxiety disorder, headaches, health, health food, health news, insomnia 2, joint pain, lavela ws 1265, lavender, lavender essential oil, lavender for sleep, lavender oil, lexapro, mental illness, migraines, mood, muscle, muscle tension, natural remedies, natural remedies for, natural remedies for depression, natural remedies for panic attacks, natural remedy, nervousness, pain, pains, panic attacks, paxil, remedies for depression, remedies for depression and anxiety, serotonin, side effects, signs of anxiety, signs of anxiety in women, sleep, stress, tired, tired all the time, treat generalized anxiety disorder, university health news, what does anxiety feel like, zoloft. SO glad you posted this! I’ve been seriously downside thing seeing a doctor to get an Rx of Valium! I will definitely try this before doing that! Does the pure capsules brand vitamins make this that you are aware of? No, Pure Encapsulations does not sell lavender, but you can get it at any local health food store. I know that Mountain Rose Herbs also sells it: http://www.mountainroseherbs.com/index.php?AID=113476 You can find other brands online, too. We use Hemp seed oil for our anxiety. It works as well as Xanax. Research is important. I found the Young Living Essential Oil Seed to Seal Guarantee is the best way to go. No synthetics added, as many companies do. I’ve been using lavender for various things for two years, including diffusing at night to doze off with ease and sleep sound. This article is so correct. It is wonderful for calming our minds. Hi! I’m a college student who has experienced anxiety for the past year, and after being prescribed lorazepam to reduce panic/anxiety symptoms, a friend told me about lavender capsules. They work well for me, and I haven’t had to use lorazepam in about 6 months since I started using lavender. I use the brand of capsules Calmaid, which I buy at Whole Foods and it is also available on Amazon. A lot of hard work, prayers, and intentional relaxation has gone into reducing my anxiety, but I DEFINITELY think that lavender supplements have been a very helpful thing for me! I have not tried lavender, but I am going to start tomorrow. I am going to take the pill formation. How long before I will notice the effects? Got oil week ago.came from health food store.WORKS used. To smell!used behind ears!on temples.GOOD LUCK!!!? Works! !Good luck.Got essential oil from health food store!!! Dabed it under nose .behind ears. On temples. WORKS good luck. Except me. Lavender is a trigger for my migraines. I’m not entirely sure why it does. I just know that it does so I try to avoid anything lavender scented no matter what it is. I can recommend Calm Aid by Nature’s Way. It’s a lavender supplement, and it workes wonders on my mental chatter. Really good for anxiety as well! I was recommended lavender to treat bipolar and anxiety. I use calmaid twice a day and it absolutely makes a difference for me. I’ve been taking GABA for anxiety for about 2 years. It has stopped the panic attacks, but I couldn’t stop the chest burning. I’ve been taking lavender 4 drops twice a day and 1 drop at night for 3 1/2 days and I’m off GABA and the chest burning is very very minimal and a lot of the time gone all together. I’m just reading more about the effectiveness of lavender to treat anxiety. This is seriously a miracle for me. I haven’t been able to stop GABA for over 2 years and now I think I’m free of it. I also smell lavender several times a day and it helps me feel calm. I hope this helps, it’s helped me a ton already. Just the opposite for me. Lavender makes me anxious, instantly. Even walking through lavender in a garden. It happens instantly, and it took me years to identify. I have put some lavender oil on my wrists in the morning and it seems to help. I have always loved the smell of lavender. I use it in my atomizer every day. Just last week I basically had a breakdown, mentally and physically. Long story longer; diagnosed with Major Depression Disorder and General Anxiety Disorder. I didn’t know that lavender came in pill form. Will check with my primary doctor to see if it’s ok to try. In the meantime I’m on Prozac and have started using CBD Oil from Hemp, it helps. Using the 5mg, a dropper full, three times a day, with a little booster right before bed. I love the fact that neuroscience is able to prove the correlation between essential oils and positive desired results (decrease in anxiety), particularly lavandula angustifollia (lavender). I feel the key is to find Therapeutic Grade essential oils. If anybody is interested acquiring some, contact me at mspatriciareed@icloud.com. Each batch is vigorously chemically tested to ensure the highest quality with each batch results readily available. I would love to connect anybody that is interested. With first hand experience with PTSD, I am so thankful for this alternative. I’ve been suffering from anxiety for a while now and thought I’d try Nubotany Spectrum CBD Hemp Oil… I drink tea regularly and decided to put it in my zen tea. The peppermint flavor in it compliments really well and I’ve noticed a decline in my anxiety. It’s honestly such a nice soothing relief. I would recommend Nubotany CBD Hemp Oil to anyone who suffers from anxiety and wants a natural remedy.